A Melbourne father of a son with blistered skin from supermarket adhesive plaster, has developed a chemical free, biodegradable, 100% organic bamboo fibre adhesive strip. Australian founder, James Dutton from Nutricare has done what big multinational health care companies seemingly couldn't or just didn't do and created an adhesive strip called Patch, that his son - and others like him, can use without having an allergic reaction. Designed with his son in mind, the strips suit all skin types, but particularly offer an alternative for anyone who experiences a reaction to common plasters. Young people and elderly people are the main market from an allergy perspective, but we all should be using these adhesives for their natural qualities. The entire range is made from bamboo which uses no pesticides to aid its growth. The final products are 100% biodegradable and compostable. You can literally plant them in your garden. The won't make an arm tree or anything, but they will turn to soil. 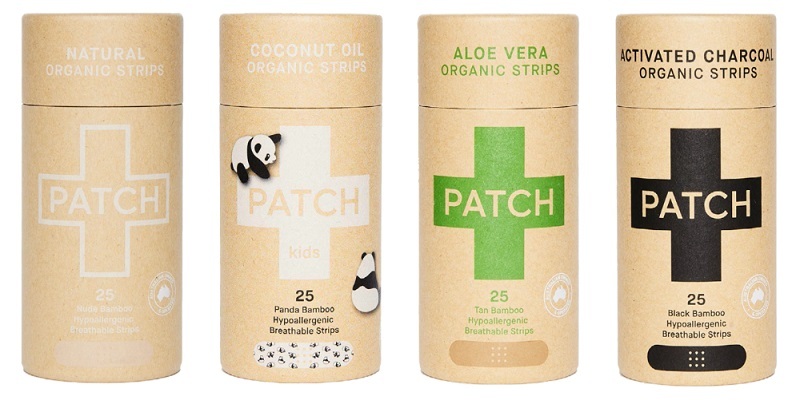 So far, the range includes four different Patch products - a natural, a coconut oil, Aloe Vera and an activated charcoal and retail for between $8 and $10. Nutricare's Patches are sold online in places like Aussie Health Products and has already secured over 1000 mainstream stores like IGA, Chemist Warehouse, Healthy Life, My Chemist and a myriad of pharmacies selling the strips nationwide and is now exporting around the world. Why Going Eco is Like Getting Fit. Only Tougher. Seriously. We have to decriminalise regifting.